What Happens To Paul Allen's Superyacht That's Docked In The V&A Waterfront? The annual trip to the south of France has kicked off very nicely indeed. With rumours abound that Turkish Airlines offer slippers, toothbrush/toothpaste, sleeping goggles and fab chow, combined with our stash of Zopimed, we opted for economy class. And boy were we not disappointed! The seats go back further than any other carrier that I’m aware of, and we were allowed 30kg per bag. Fine. I was surprised they didn’t stop me with the new Phantom 2 Vision + drone I had in my hand luggage, but The Muse’s tweezers seemed more of a distraction. 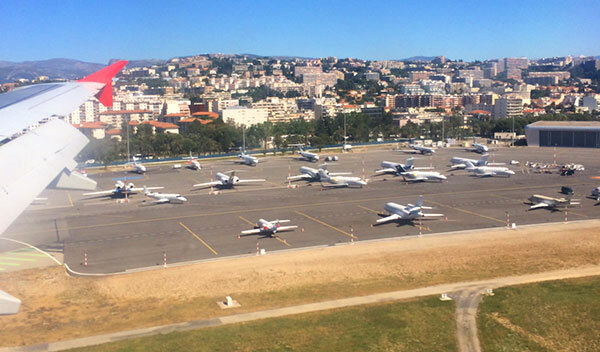 We landed in Nice and, given the time of year (Cannes Film fest and the Monaco F1 GP), I just had to share this pic of all the jets parked off the runway. I wonder how many of those were Uber jets? 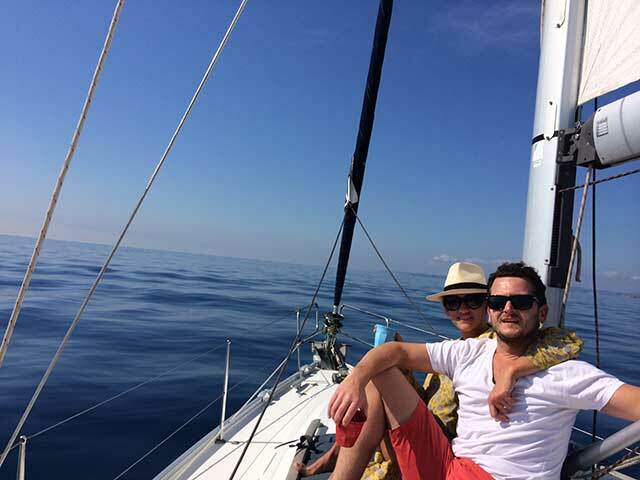 Aurélien picked us up at the airport (book him on +33 6 08 00 64 79) and took us to our villa in Saint Jean Cap Ferrat – pronounced ‘Sun John Cup Ferah. Residents just call it Saint Jean (Sun John). Here are some pics I took with the drone I bought from dronephoto.co.za in Cape Town. And so we settled into our self-catering apartment at the top of the villa, with three beaches surrounding us, high speed internet, satellite TV and murderous views. For what you’re getting the price was phenomenal. Get in touch with Johnny here – he said he would give a good deal if you mention 2oceansvibe to him. I nipped off to pick up our scooter, which came in at a healthy EUR350 for the week. I would definitely recommend getting a scooter over a car, as it makes getting around MUCH easier. The French Riviera is not built for cars. If you need to go further than a scooter ride (we did trip of up to 50 minutes away) then use the train. Book your scooter here (they also rent bicycles – no thanks). 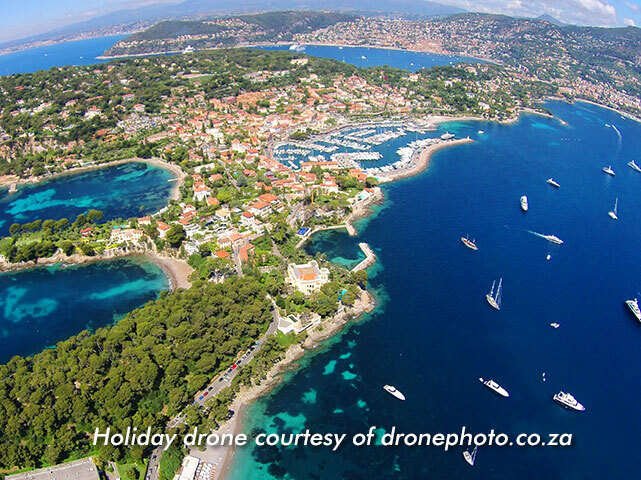 With some posh restaurants coming in at R2,000 a head along the Riviera, it is important to stock up on chow at home. 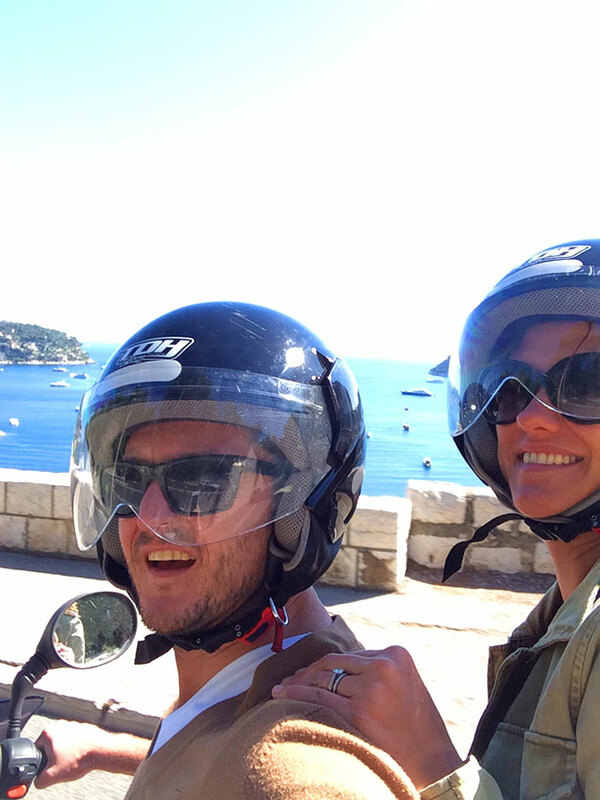 We jumped on the scooter and cruised 5 minutes down the road to the next town, Beaulieu Sur Mer, which has a Super U – which is like a Woolies, but cheaper. They have everything from food and booze to homeware and toiletries. And so began our holiday., which included dips and snorkeling in the beaches next to the villa, as well as lazy days next to the water at Paloma beach (I took an aerial shot of that with my drone – below). They let you rent a beach bed at EUR 20 for the day, and even serve you lunch on special trays placed over you – like breakfast in bed. Except this time you have rosé wine next to you, instead of coffee. 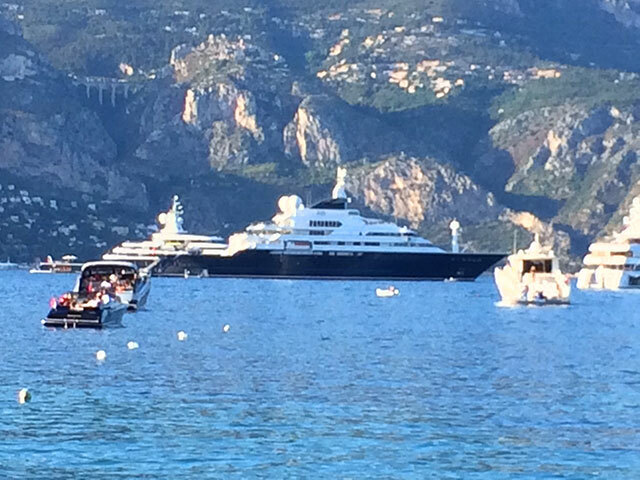 And you’re looking at Monaco in the distance, with Octopus (Paul Allen‘s yacht – see below) in the foreground. Just behind it is Luna, Roman Abramovich‘s yacht he just sold. Not the first time I’ve encountered Octopus, mind you. 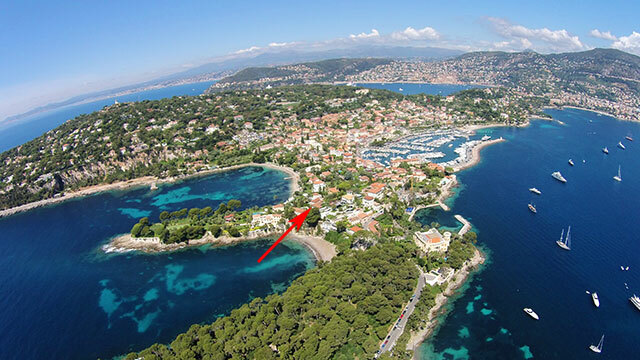 Speaking of Paul Allen, he also has a house in Cap Ferrat – a stone’s throw from Charlie Chaplin‘s old house (which was sold to David Nevin). Brad and Angelina have a house there as well, and a quick Google will reveal that this area has the highest priced real estate, per square meter, in the world. It all kind of makes sense. 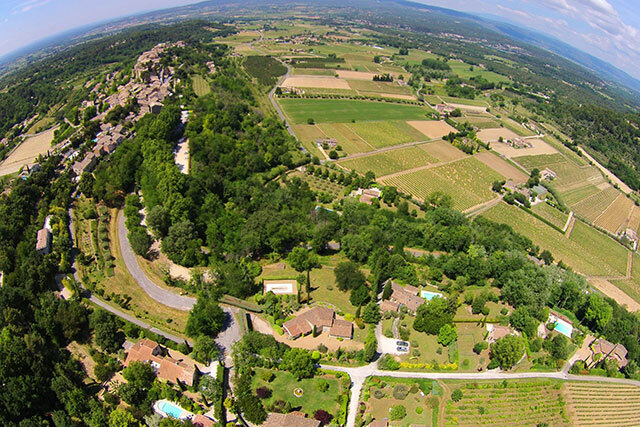 We found a 6km morning run around Boulevard du Général-De-Gaulle which circulates the top of a hill with houses like you’ve never seen in your life. Bishopscourt and Clifton take a major back seat, when you’re dealing with some properties that sell at EUR 125 million. Think about that for a second. That’s nearly 2 billion Rand. 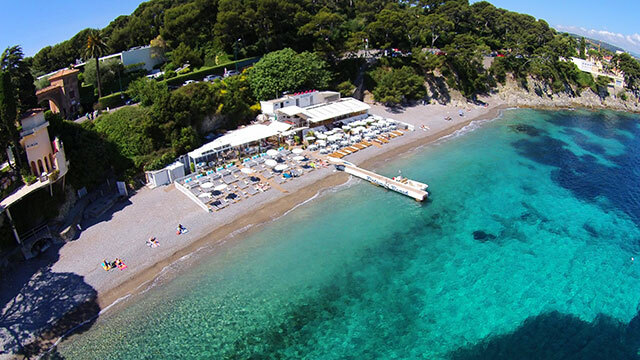 If it’s aspiration you’re after, you should try my daily 6km run in Saint Jean Cap Ferrat. 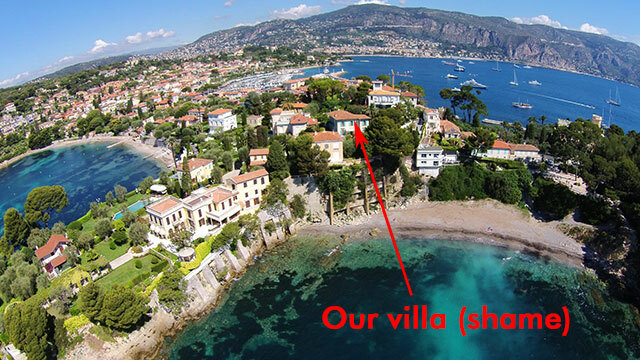 Did I mention the Rothschilds also chose Cap Ferrat once upon a time? 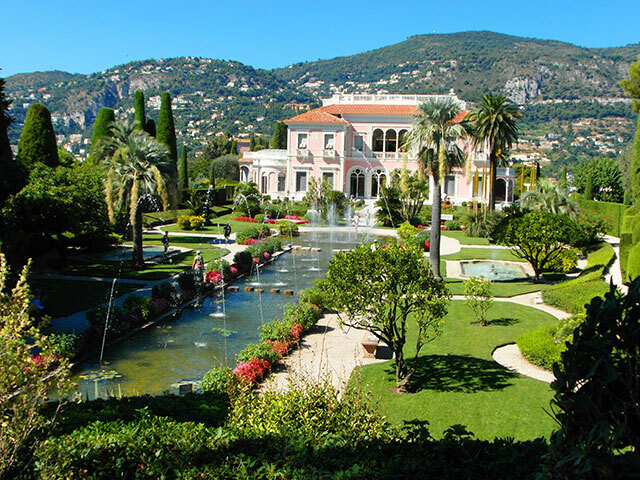 Here’s the house they built – Villa Ephrussi..
To recap, I would highly recommend Paloma beach, as it has a special less-exposed quality that the likes of Club 55 in St. Tropez thrives on. People keep to themselves, swimming and drinking and carrying on in a very civilized manner. Even the kids don’t make a noise. But then again, what French kids do? 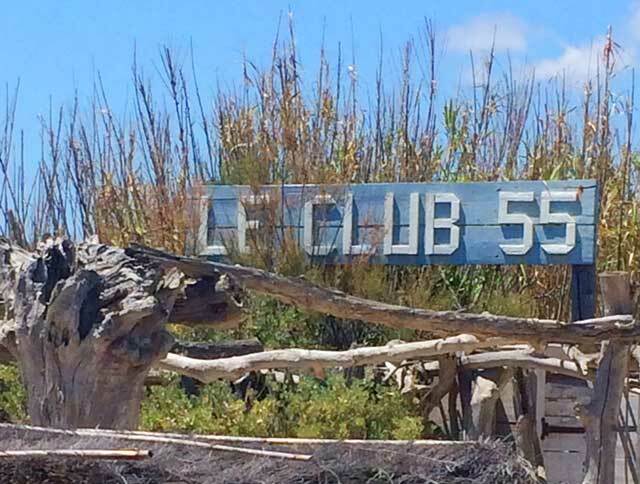 Aah yes, Club 55 – there is surely not a better place to see or be seen, as we maximized that fact to the full a few days later, by arriving from the sea. 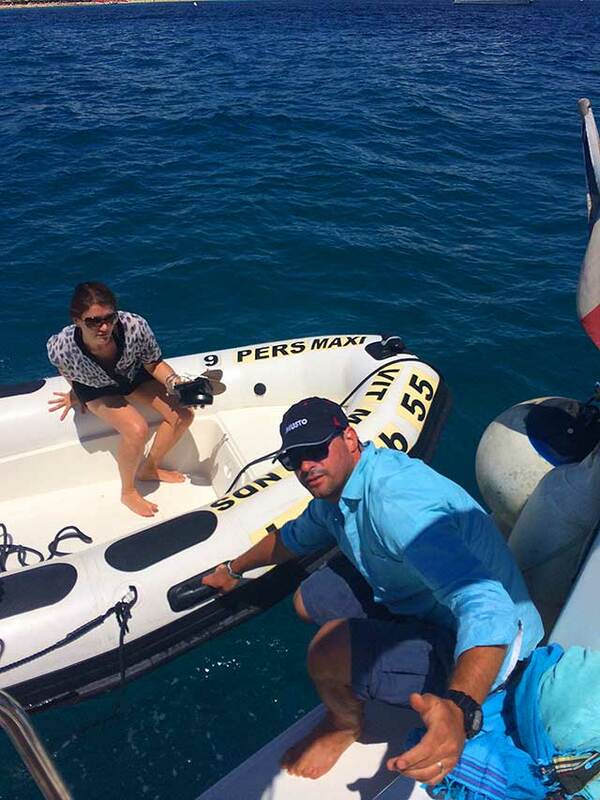 The restaurant sent a boat to fetch us from the yacht we chartered, and delivered us to the jetty. We had a fabulous lunch – watching people, watching us, watching them – and hurt a few more bottles of rosé. I should mention at this point that the rosé wine from Provence has very low sulfite levels, which is rumoured to cause hangovers. This allows you to drink it all day and all night, and you never get too pissed. Look, you DO get pissed, but it’s a smoother pissed, if that makes any sense at all..
Back to Club 55. You’ll know it from the Daily Mail – the place you always see Tamara Ecclestone arriving at. 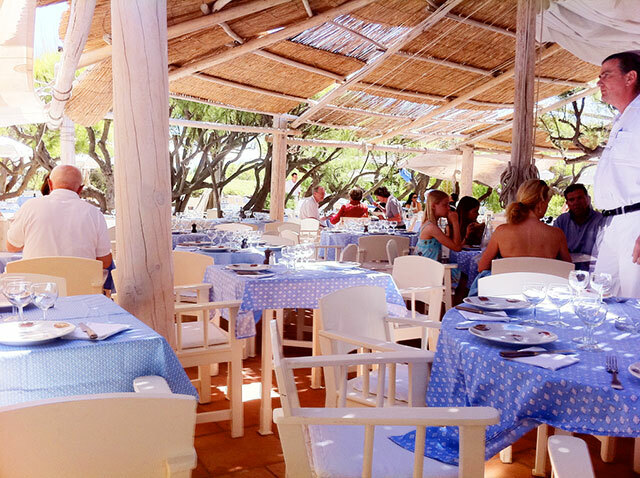 Everyone gets dressed up in preppy resort gear and air-kisses their way from the front door to the table to the beach. 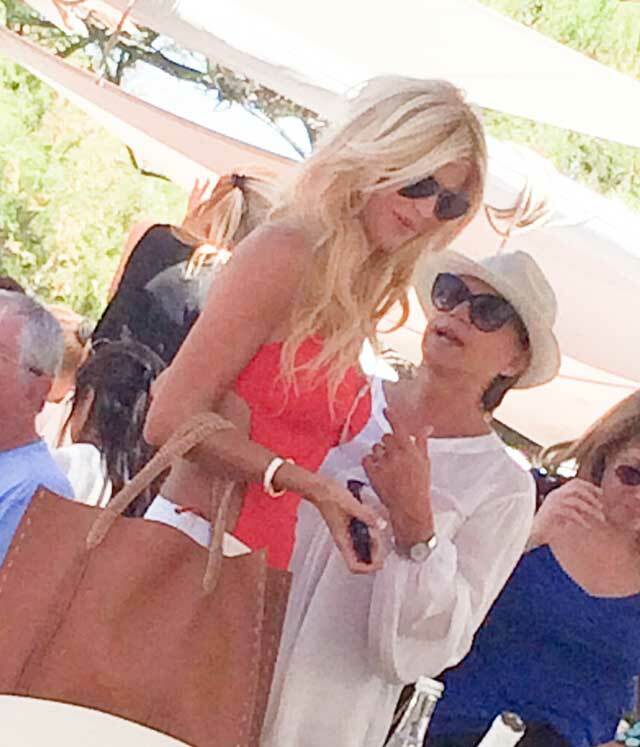 Naturally the biggest spectacle of all was Victoria Silvstedt, whose table was right in the middle of the restaurant. She was there with her short, fat (wealthy) boyfriend, and she spent the entire time pouting, looking around to see who was looking at her, and playing on her phone. God, what a tool. Her man just played on his phone and they hardly ever spoke. Brilliant. He had a Polo shirt on with a massive luminous green horse on the front and ‘USA’ on the back. Not really my style..
On that note, Club 55 must surely contain the largest number of Ralph Lauren Polo golf shirts per capita in the world. This, coupled with slick back hair and Ray Ban Aviators are the order of the day, this season. We refused the stereotype and went for the stealth wealth option – Zara relaxed fit white V-neck and floral ‘swimmers’ and random beach towels over the shoulder. 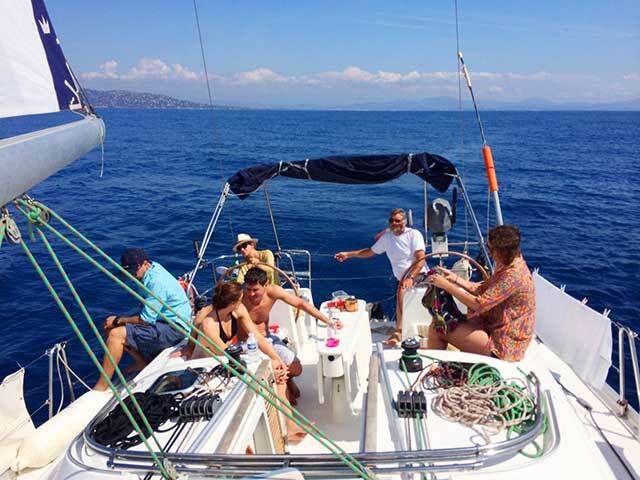 The arrival from the sea is genius, as they never know which yacht you arrived on. A pair of Persols from Sunglass Hut also don’t hurt..
I’d love to know how much money they make there, given the amount of tables they turn. It is such a slick operation, with waiters flying around like worker bees, ensuring your order is taken and delivered with precision – often resulting in five different faces serving you throughout the meal. You’ll be pleased to know they now let you pay by credit card, having only accepted cash until quite recently. Apparently they got into trouble for not declaring their full earnings. Duh, really!? The 50 minute scooter ride I mentioned earlier, was to Restaurant La Colombe d’Or, in St. Paul de Vence (pronounced ‘vahnce’). This was one of Picasso’s favourite towns, where he lived for many years. 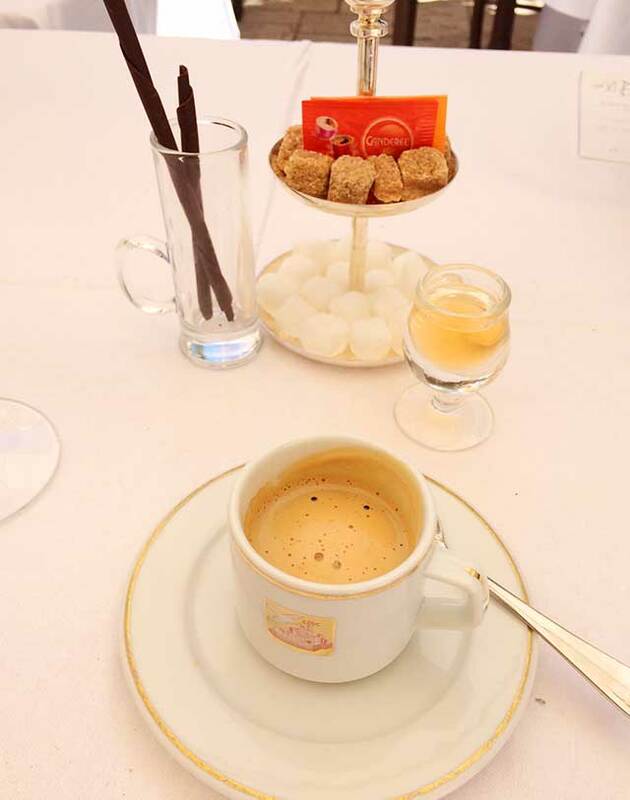 The extremely beautiful hilltop village has mostly art galleries (tons), clothing shops and a few restaurants, with La Colombe d’Or being the jewel in the crown. 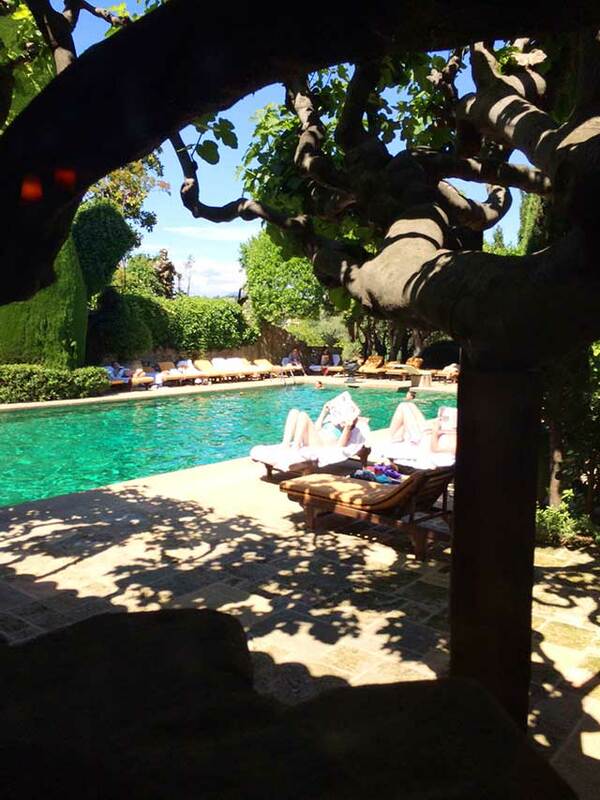 It’s part of a boutique hotel, bearing the same name – and we were unaware of its status as one of the best restaurants in the world, as we walked in without a booking. After sitting down and contemplating the menu and the people around us, it became clear that this place wasn’t a joke. I went for the lobster salad and was not disappointed. With fruit trees dotted in and amongst the tables, the restaurant dangles from the edge of a cliff and unsurprisingly, comes highly recommended. The art inside is quite something, too. It is said that Picasso and Matisse often lived at the hotel and when it came time to settle their bill – they were broke and paid with art. 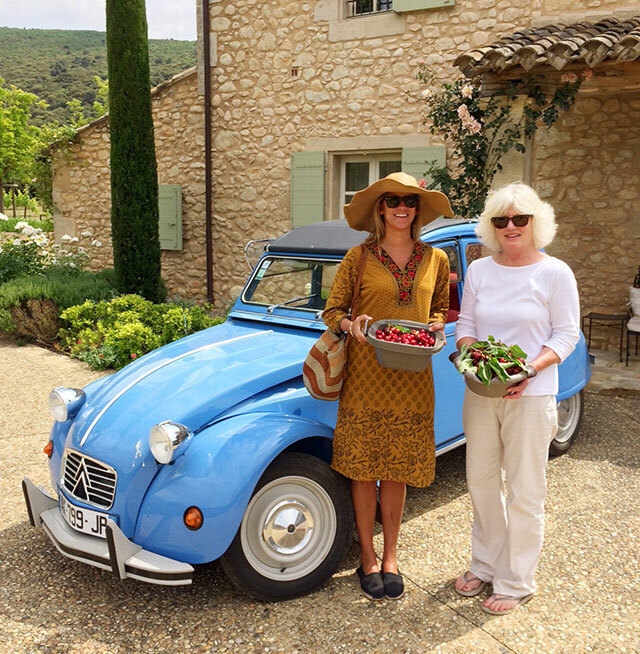 That worked out nicely over time, for the hotel..
Another highlight is surely ‘Mas Provencal’ in Eze – between Cap Ferrat and Monaco – which will give you a night you’ll never forget. Also remember the closer you get to Monaco, the more respect you get because you’re from South Africa – home of Charlene, Princess of Monaco. 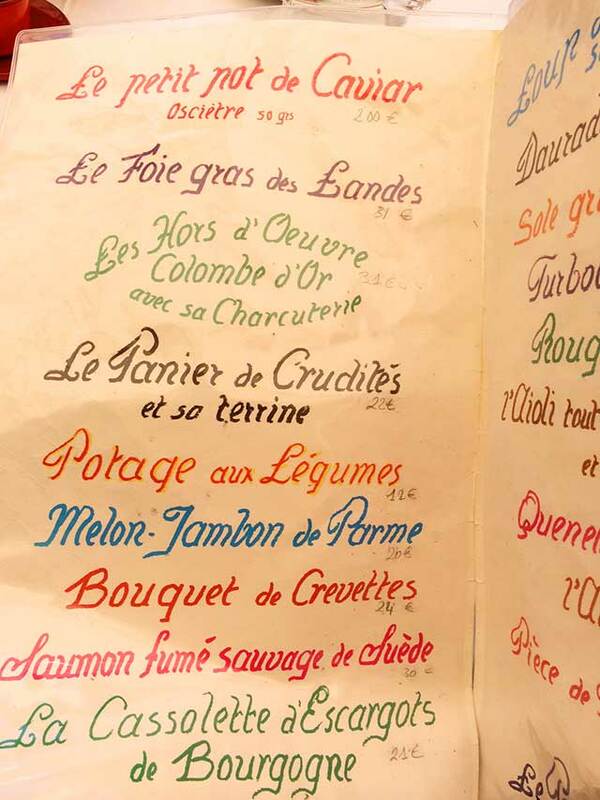 I would not recommend not going to Mas Provencal restaurant on mushrooms, as we found the sensory overload without mushrooms almost too much for the brain to handle. Unless of course you’re in the middle of a concerto and in need of some inspiration – then, by all means – go there on mushrooms. For pictures and story from that night, including the owner’s photo album featuring Charlene, CLICK HERE. 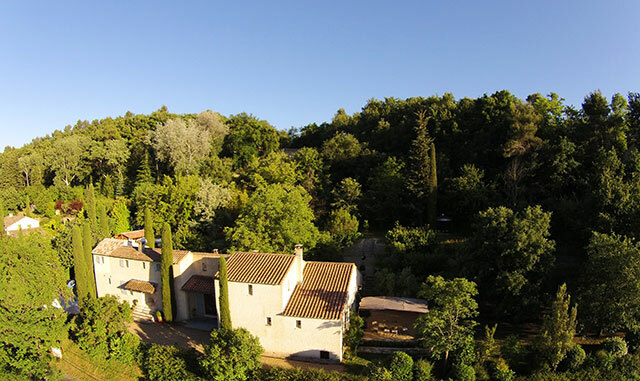 We took a train from Nice to Marseilles and then the folks picked us up and took us to the family compound, Bastide Les Amis. 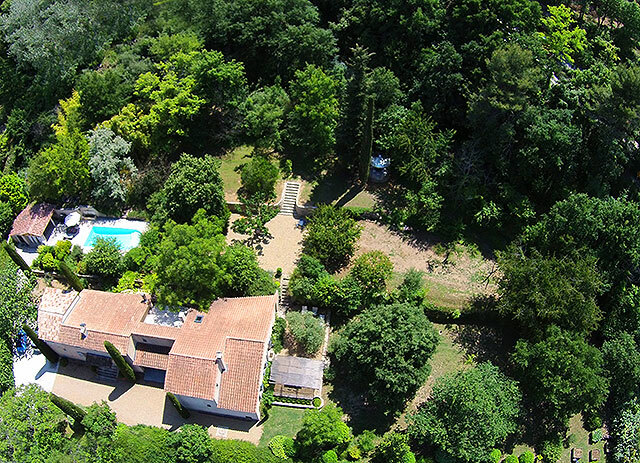 It doesn’t get much better than Menerbes – the home of the unwind. 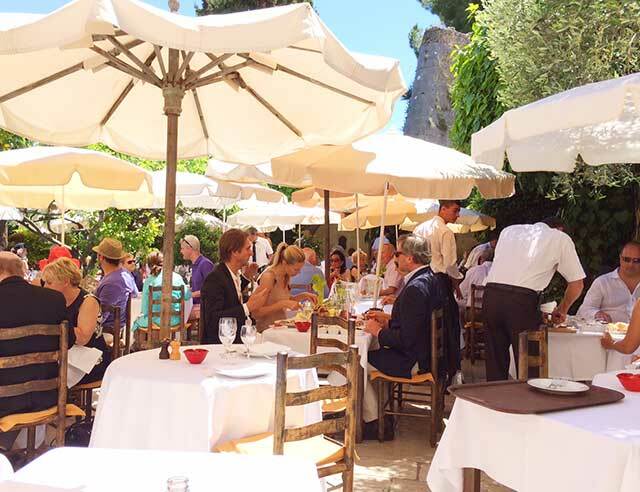 Lunches and dinners at La Veranda, oysters and champagne in Coustellet, Les Deux Garsons restaurant in Aix (report on our lunch here) – it goes on. I need to cut it here, otherwise you will never see this post. And besides, my rosé needs a top up.